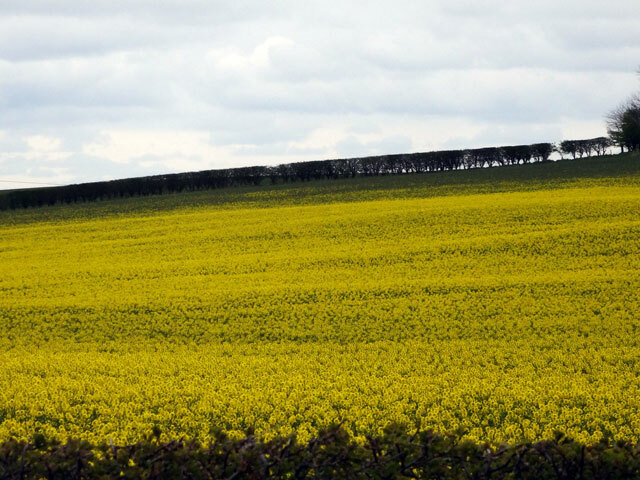 This is one of the fields around our home -- it looks good and the health experts tell me that the oil we get from it is extremely good for me -- but it does make me sneeze! Slept in a bit and then walked Mix before settling down in the Bothy, not really to work but because this is the warmest place there is! I did some bits and pieces on the computer, followed the Test Match and Durham’s game at Lords against Middlesex (it started today and we haven’t had the best of starts) and read my book ‘Death comes to the Ballets Russes’ by David Dickinson (no, not that David Dickinson) which I am thoroughly enjoying – and I have the latest Donna Leon set by for later! Olive was busy with students, Mum had visitors and Rachel was working in the stables with her glass – she has heating there as well. I did quite a bit of sorting out and rearranging and before I knew what, it was time for supper in the farmhouse (I did walk Mix again – along Bramble Avenue which Mix loves because there are plenty of smells). In the evening Rachel and I settled down to watch a Montalbano film. It was good but for some reason both Rachel and I found ourselves dozing, maybe that’s what retired folk do. Then it was time to walk the dogs before bed.